Have you ever wondered what it would be like to be Spider-Man? To swing through the iconic New York City skyline? To acrobatically dodge bullets as you take down a group of would be bank robbers? To be evicted from your apartment because you can’t keep a job thanks to your crime fighting? Well, good news! Marvel’s Spider-Man lets you live out all of those webhead fantasies and then some. But the real question is, is it worth your time? The short answer is yes. Straight away, let it be known that I love Spider-Man. He has been one of my favorite superheroes ever since childhood. So when it was announced that Insomniac Games was giving him the full Arkham Asylum treatment, I was very excited. A single-player, story-driven game for the PlayStation 4 starring Spider-Man? Sign me up. I’m happy to report that after playing it for the past few weeks, I can say it is the best Spider-Man game I’ve ever played and one of the best games of 2018. Graphically, the game stands right up there with current-generation games like God of War and Uncharted 4 in showing off the power of the PS4, even at this late stage of the eighth console generation. Everything is extremely detailed, from the NPC inhabitants of New York City to the models of favorite characters like Norman Osborn and Mary Jane and right down to the texture of Spider-Man’s various suits. Easily my favorite thing to do in Spider-Man is to explore the city and discover all the famous landmarks and secrets scattered throughout the impressive world map. Thankfully, the game rewards you for sightseeing, with several different collectibles for you to hunt down as you do so. Whether it’s backpacks Peter Parker has hidden in various locations, taking pictures of famous landmarks, or gathering clues to stop Black Cat, the game gives you many reasons to explore every corner of New York—and if you’re anything like me, you will love doing so. But, naturally, sightseeing isn’t the only thing to do here; there are several baddies, both super and not so super, for you to punch in the face. A wide variety of Spider-Man villains old and new has been included to make for some very memorable boss fights. So when you get tired of stopping drug deals or you’ve run out of famous landmarks to photograph, you can return to the main story missions to see what Kingpin or Shocker is up to. Combat seems to have borrowed very heavily from the Batman Arkham games—in fact, it is almost exactly the same. From using your Spider Sense to dodge incoming attacks and gun fire to incapacitating your enemies with well-timed shots from your web-shooters, balancing offense and defense is the key to surviving increasingly difficult mobs of baddies. As you progress through the game you will also unlock various gadgets and new suits, each with different combat abilities, to help make sure you never feel outmatched in combat. One of the biggest issues that seemed to plague me throughout my time with Spider-Man was how difficult it was to stop moving. Whether it was swinging, wall crawling, running, or jumping, it always seemed very difficult to stop or land on a specific spot. Often times I was contorting myself in midair after swinging right past the building I meant to land on or falling all the way back to the ground when I misjudged the distance I was able to web-zip from one building to the next. This was never more than a mild inconvenience, but it was always one I had to account for when I knew I was reaching my desired destination. If you own a PlayStation 4—and at this point why wouldn’t you?—there is really no reason not to pick up a copy of this game. Insomniac Games clearly gave the character, and the license as a whole, the kind of love and attention Spider-Man fans have been waiting for. And it adds yet another jewel to the crown currently sitting atop Sony’s head proclaiming it the king of this console generation. 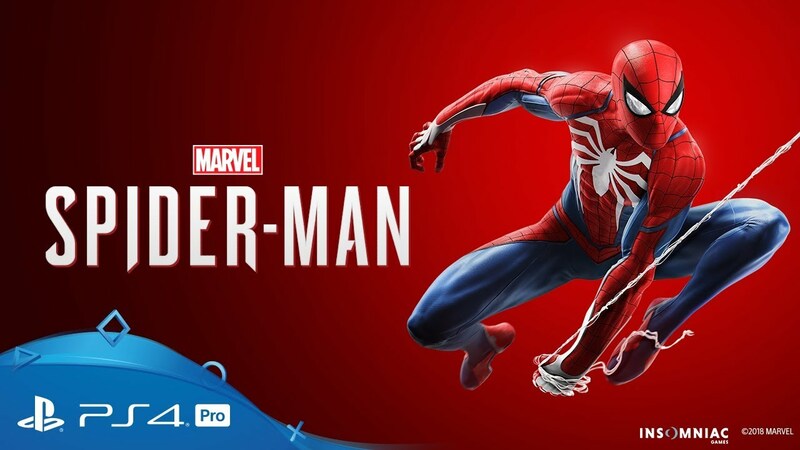 Marvel’s Spider-Man was released on September 7, 2018, exclusively for the PlayStation 4. Ryan is a lifelong video-game and geek-culture, enthusiast who lives in Plymouth with his wife and two cats. A former Geek Squad agent, he is one of the creative forces behind the YouTube channel North Saint Podcast as well as an avid chicken-strip aficionado.